The Dakine ISA World Junior Surfing Championship (WJSC) Presented by Billabong kicked off Sunday with incredible surf in beautiful Playa Jiquiliste, Nicaragua. The competitors were greeted with great conditions and the famous Nicaraguan offshore winds, which provided a spectacular stage for the world’s best junior surfers. Freesurf’s Mike Latronic with the play by play. 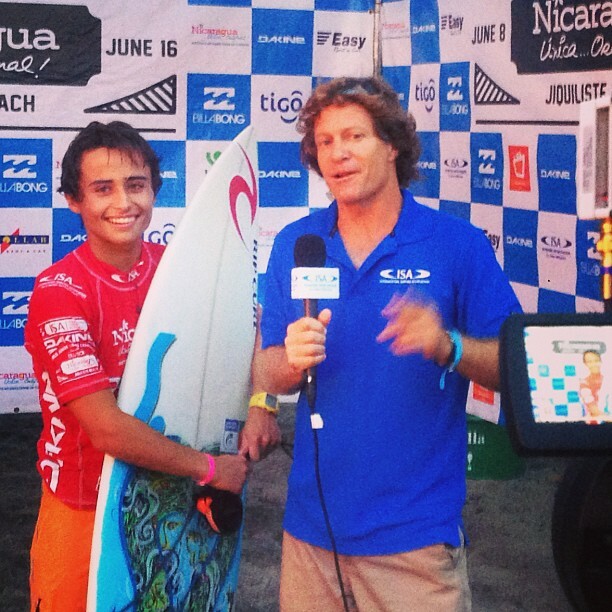 The second day of the ISA 2013 ISA World Surfing Games will start with The Morning Show hosted by Chris Ernst and Mateo Rojas at 7:40am (local time).